A couple of days ago Monte Cook Games finally released their roleplaying game Invisible Sun in digital form. Until then the PDF version of the game was one of the exclusive Kickstarter backer perks. The digital edition not only contains multiple PDFs with over 1000 pages of text, but also countless cards in a printer-friendly format and handouts for all the props included with the physical version of the game. The price tag is at $99. This may sound a lot and quite a few people have been arguing that its way too much, but this is not the issue I am having with the game. Invisible Sun is a surreal fantasy game, a game in which characters wield unimaginable powers, a game which is supposed to change your perspective on what roleplaying games could be. This might to a certain extent be quite pretentious, and a bit of hyperbole, but the people who read or even played it, seem to like it a lot. So what’s the issue? My issue with the game is that aside from either getting the $99 digital copy or the $250 physical one (aka the Black Cube), I have no way to find out more about the game. Sure, I can watch the videos Monte Cook Games has uploaded to YouTube, or I can read one of the few reviews out there. 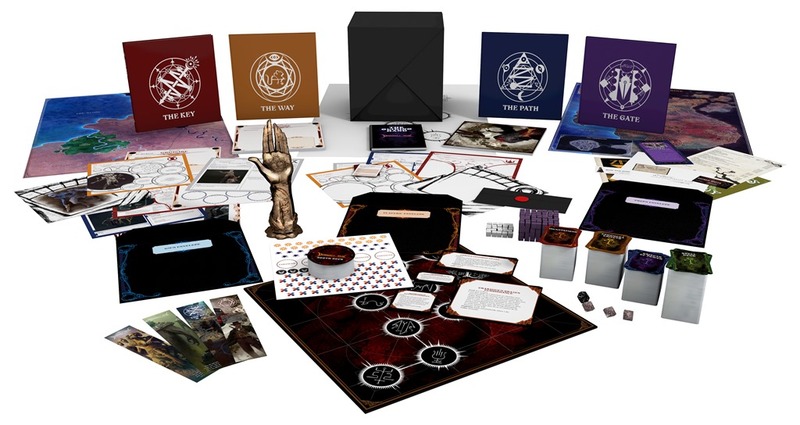 Having a reasonably priced starter set or perhaps even some free quickstart rules would make it much easier to find out whether Invisible Sun is worth my money or not. With a game at such a high price tag, I just want to be really, really sure, that the game is for me. Is the price itself fair? Undoubtedly so. Monte Cook Games creates awesome products and I never regretted putting down money for any of their books. Especially the physical copy of the game is probably quite cheap considering how much material you get. I’d love to get my hands on a copy, but at the moment, a $99 or $250 minimum to get into the game, just seems too much for me. By the way, I just noticed that Invisible Sun is actually the #1 best selling title on DriveThruRPG at this moment. I don’t know how this is measured, just by the sheer number of purchases or is the price factored in? Still, it’s pretty impressive. What are your thoughts? 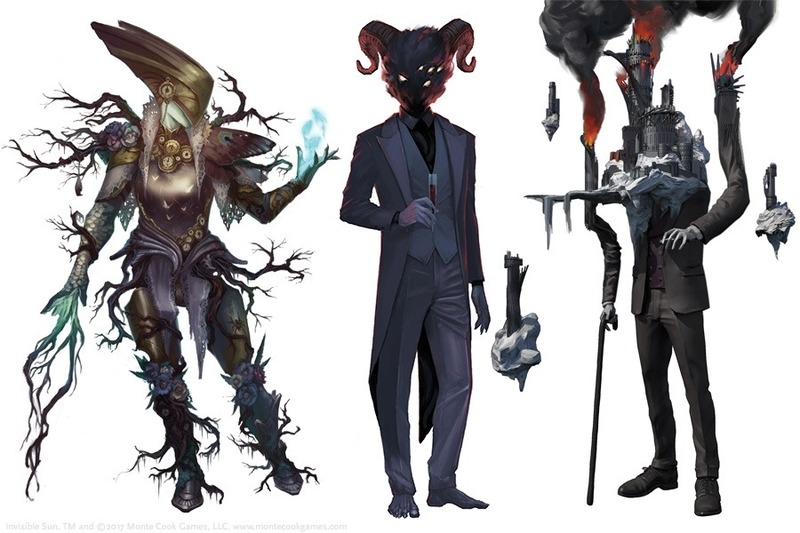 Are you intrigued by Invisible Sun, but shy away from the high price tag? As always every comment is highly appreciated! UPDATE: My friend Roberto aka Sunglar let me know that there’s actually a preview for Invisible Sun available for free on DriveThruRPG. I haven’t had the time yet to fully read it, but it seems to give a good overview on character creation, the magic system and some of the “fluff”. Price is factored in to the OBS best seller charts now. It used to be copies over time, but that apparently caused complaints when cheap and pay what you want items kept big expensive ones of the top. So at five times the price of Rangers of Shadow Deep Invisible Sun was bound to be topping the list even with a handful of sales, especially as it’s new out. I was drafting a post on the same game. The angle I was going to take was a complaint about the sheer volume of material. It took me 7 weeks to read Zweihander and that is just under 700 pages. At 1000 pages of material it would most likely take me the best part of 3 months to read. Then there is the issue about whether I could retain that amount of information? ‘about:blank#blocked’ is what I get with your link. Oh, sorry. I fixed the link, it should work now.